When you arrive in Vancouver, the city’s natural beauty will leave you in awe, so make the most of the views and fresh air and high-tail it to the Seawall for a mid-morning walk or cycle. 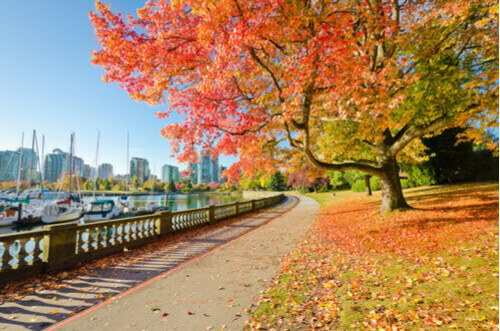 The Vancouver Seawall is a part of the 28km Seaside Greenway, the world’s longest continuous waterfront path, and skirts the edge of leafy green Stanley Park. Sit under one of the park’s 400-year-old trees for a breather. Traversing the city centre is best done on foot or via public transport, which is extensive. After you’ve stretched your legs follow the Seawall southwards to English Bay Beach – and have a dip if you dare! 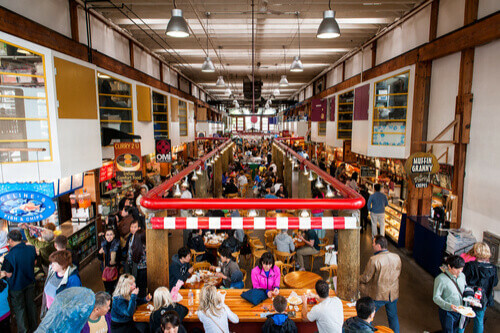 Hop on the False Creek Ferry across to Granville Island and don’t stop walking until you find the Granville Island Public Market. This is the place to settle your hunger; choose from Vietnamese-inspired vegan fare, fresh fish and chips, Japanese, burgers, and more. After immersing yourself in the market’s food scene, take a short walk to Granville Island Brewing – one of the city’s many micro-breweries – for a daily tour and tasting (tour times change seasonally). 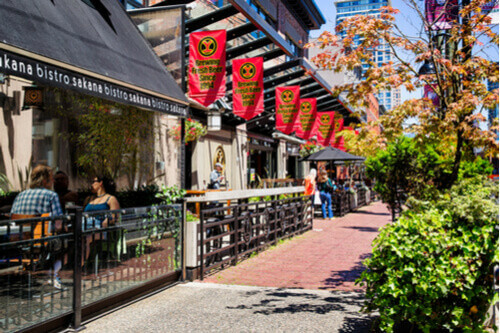 Continue the craft beer crawl through the city to discover why all the fuss over Vancouver’s micro-brewery scene – be sure to try 33 Acres Brewing Company and Yaletown Brewing Company. Add in a spot of shopping along the way and some sightseeing, taking your time to soak it all in. Keep the good vibes alive and head to Vancouver’s oldest neighbourhood, the humming Gastown district. When you’re surrounded by as much water as you are in Vancouver, it’s hard to go past seafood for dinner. Head to the relatively new Coquille Fine Seafood for a bite. 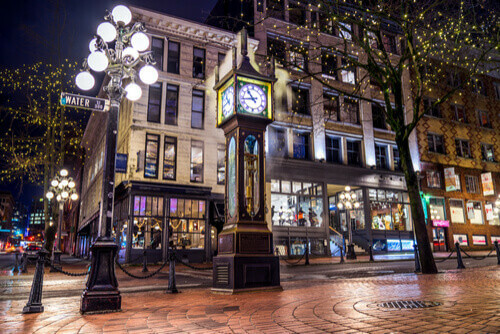 Finish your day off at one of the many speakeasies or cocktail lounges dotted throughout the Gastown area. 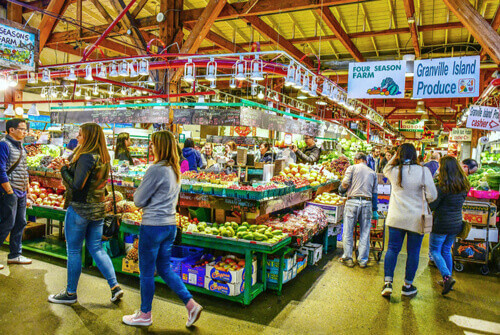 After breakfast at the La Quinta Inn Vancouver Airport hotel, set out early to explore the city that is constantly ranked as one of the world’s best. 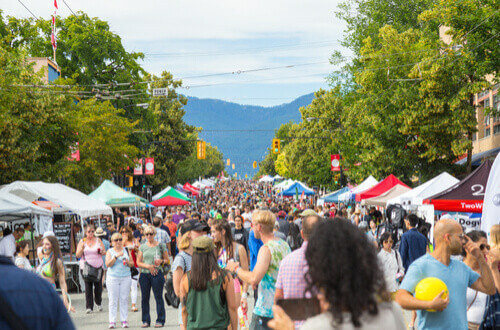 Make your way to Commercial Drive, one of Vancouver’s trendiest neighbourhoods, where a colourful explosion of street art, charming cafes and Vancouver’s very own Little Italy awaits. Treat yourself to a Mexican-inspired brunch at Bandidas Taqueria on Commercial Drive, then have a browse among the bookshops and bohemian shopping the area serves up. 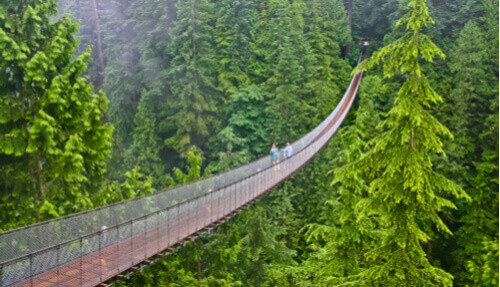 If you’re up for it, and love city attractions, hop on public transport and make the hour journey to north Vancouver to walk the Capilano Suspension Bridge. A traveller hotspot, the bridge looms high above the Capilano River and deep in the thick of Canada’s wilderness. 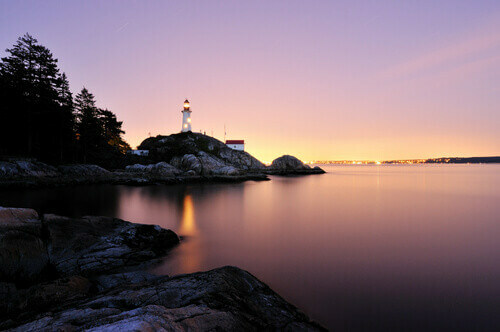 Opt to head west and explore Lighthouse Park for some natural experiences or, head back towards Main Street, a must-visit if you’re a foodie with a coffee addiction. 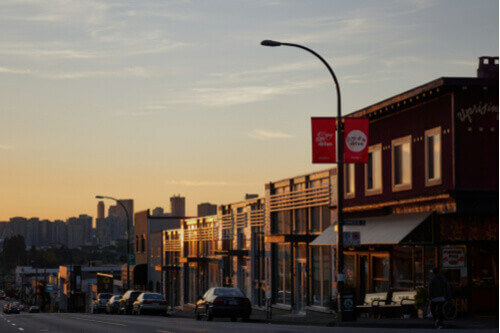 If you choose Main Street, you’ll be pleased to find 30-plus eateries at your whim and fancy coffee on par with some of the best in the world. For dinner, join the queue at newcomer venue, Autostrada Osteria, a quaint local Italian restaurant with lots of charm and an impressive Italian-only wine list. Head back to your hotel to unwind after an epic 48 hours and regain your energy to continue your Canadian adventure.